This book examines how joint ventures work in practice. Drawing on extensive personal experience and using case study examples where appropriate the author analyses the various stages, discusses the problems of partner selection, implementation and control and points out the various benefits and pitfalls. 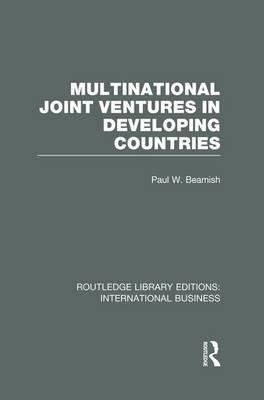 He draws out the implications for improving practice and discusses how the experience of joint ventures affects the theory of the multinational enterprise.